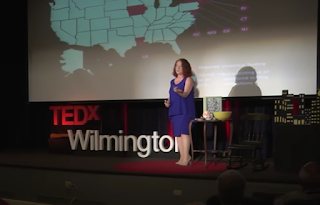 Kate Kirkwood, founder of Lead-Edu (a Zack Academy training partner), was recently selected to provide a TEDx Talk on the dangers of lead in homes. In her presentation, Kirkwood describes lead hazards in both old and even new homes, and educates the public on simple steps they can take to prevent lead poisoning from happening to them. The brainchild of nonprofit organization TED, TEDx Talk is a global community of experts who provide short and informative presentations on a variety of subjects. The talks are free to view in keeping with the spirit of the nonprofit. Some famous talks include magician David Blaine, author Chimamanda Ngozi Adiche, and life coach Tony Robbins. As a professional with decades of experience and several national and state lead certifications, Kirkwood was a natural choice to provide a talk on lead poisoning. Based in New Hampshire, her training facility Lead-EDU provides training such as lead abatement and lead-safe renovation. During her presentation, she recounted the story of a child in her home state who died of lead poisoning, which sparked her passion for spreading the word on lead paint safety. "I got hooked on this problem, and I've been trying to make a difference ever since," Kate Kirkwood, founder of Lead-Edu, said during her TEDx Talk. Kirkwood is no stranger to educating the public on lead safety. Besides her TEDx Talk, she runs a Youtube channel, a blog, and has even authored books on the subject. Despite being an expert, she is able to write to the average person uninitiated in lead paint. In the spirit of her "lead paint clear and simple" mantra, Kirkwood authored a children's book to spread awareness about lead poisoning prevention. "Far too many children are poisoned every year, and I believe the only thing that will make a difference is greater awareness," Kirkwood wrote in a recent recap of her TEDx Talk. Our partners at Zack Academy do more than just provide certifications - many of them, like Ms. Kirkwood, educate the public on the real-life impact of the work their work. Sharing the knowledge they have with others can help prevent tragedies. 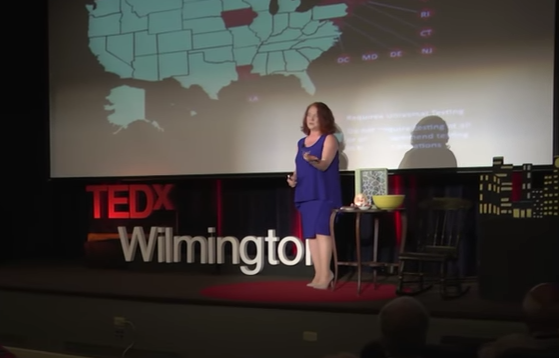 Zack Academy congratulates Kate Kirkwood on her first TEDx Talk- and hopes it inspires professionals at all levels to spread the word on lead poisoning prevention. To learn more about Kate Kirkwood's lead paint safety activism, visit her website. To learn more about lead paint certification and how to get started in this field, visit Zack Academy. Zack Academy offers the best live in-person and online vocational training courses all in one place.